After you learn how to sit in front of a computer, it’s time to protect your eyes too! A large part of the population use the computer for either work or play on a daily basis. Whether you’re working or playing, it is important to pay close attention to the health of your eyes. Research has shown that spending multiple hours on the computer can lead to unhealthy eyes and various eye conditions. Below is a list of easy tips you can use to help protect the health of your eyes while working on the computer. 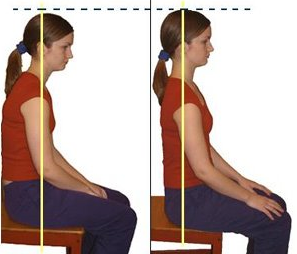 Maintaining the correct posture while sitting at the computer is one of the simplest things you can possibly do. Not only will practicing good sitting posture help your lower back, hips, neck, and shoulders stay in correct alignment, but it will also help you to view the screen correctly as well. According to OSHA standards, your computer monitor should be placed directly in front of you and no less than 20-inches away. Additionally, the top of the screen should be at or below eye level. Following these standards will help reduce eye strain and other associated eye conditions. Anti-glare filters will help protect your eyes from the harmful glare that reflects off your monitor from surrounding light sources. They may also reduce the glare produced from your monitor. Additionally, these anti-glare filters will help protect your computer screen from harmful cleaning chemicals and scratches. Bright lights can also play a major role in the development of eye strain and headaches. By adjusting the brightness of your monitor, you can reduce the risk of straining your eyes. Additionally, if you find that the reading materials on your screen are too large or too small for you to read comfortably, try adjusting the font size within your computer settings. Looking at the computer screen can make your eyes feel tired, dry, and strained. It is important to periodically look away from the screen to help rejuvenate your eyes! 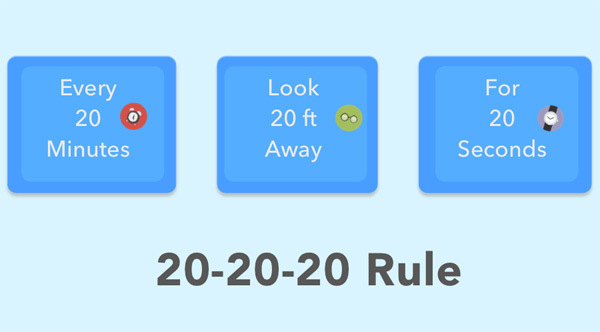 For every 20 minutes of looking at the monitor, make sure you look away at something in the distance, preferably at least 20 feet away. This will help your eyes refocus. Additionally, you can perform eye exercises such as rotating your eyes in a figure 8 along the floor. For dry, scratchy eyes, keep some eye drops in your desk to help remoisten them the way your tears normally would. We all strive to live a healthy lifestyle, but often one of the least thought-about, but equally important parts of our body are not considered: our eyes. Many people believe that periodic eye strain and headaches due to poor eye sight are a common matter; something that’s not worth worrying about. Contrary to this belief, eye strain and headaches are one of the most complained about health issues among office workers. By following the tips above, you can help reduce or eliminate the risk of developing eye strain and their related headaches. Did you know that there is a right and wrong way to sit at the computer? 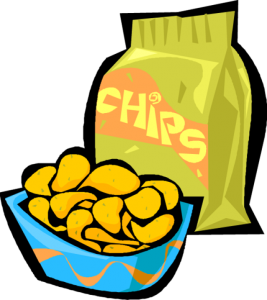 Many people may know this, but continue to practice poor habits while working or playing at the computer. These poor practices typically lead to back and neck problems due to improper alignment of the spinal column and undue strain and pressure on the muscles, ligaments, and nerves throughout the back and spine. In this article, we will provide you with tips to help you retrain yourself to sit properly at a computer. One of the many poor habits that people, especially office-workers, end up forming is slouching or “getting comfortable” at a computer. Slouching while sitting is one of the worst habits a person can have because it is one of the biggest reasons for lower back problems. Slouching causes you to inadvertently put additional stress on your lower back muscles – or can even cause you to pinch a nerve. By sitting up straight at the computer, you can help alleviate some of the strain, and relocate the stress and weight of your body into other, more appropriate areas. 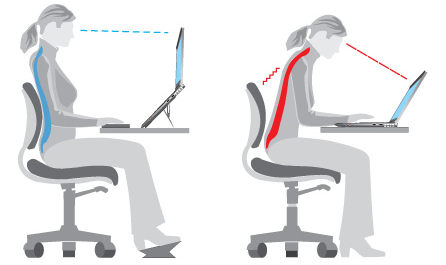 While sitting at the computer, your hips should touch the back of your computer chair so that they are in alignment with your spine. It is also important to ensure that your hips are slightly higher than your knees, and that your feet are placed flat on the floor. When purchasing a computer chair, it is important to sit in the chair prior to purchasing! In addition to determining whether or not the chair is comfortable, also make sure that it offers some adjustment options. Good options to look for are: height adjustments, adjustable back/lumbar support, and fitted or removable armres ts. The first two options mentioned here are pretty self-explanatory; however, it is important to remember to keep your shoulders relaxed while sitting at your desk. If you cannot find an affordable desk chair that includes fitted armrests, then you should remove the armrests to ensure proper spinal column alignment. If for any reason you are not able to purchase a chair that offers an adjustable height option, you can easily use an alternative method to ensure that you’re properly aligned while sitting by using a small pillow or purchasing an inflatable cushion. Many office-workers prefer this method, since oftentimes they are not in control of the type of office furniture they can use! If you use the computer often, it is important to take periodic breaks to give your body and circulatory system a rest. Ideally, try to take a one to two minute break every 20 to 30 minutes, or a 5-10 minute break every hour. 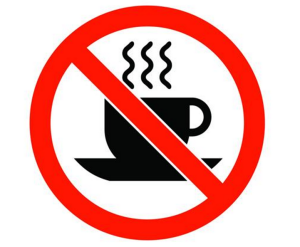 During these breaks, try to do other activities that do not require you to sit or work at the computer such as checking the mail, getting a cup of coffee, etc. Keeping your body active, even when you have a mostly stationary job, is more beneficial to your health than you may realize. Most of us know that proper alignment while sitting, standing, and sleeping is just as important to our overall health as is eating a proper diet, however many of us do not practice good posture while working or playing. By practicing these tips on proper posture while sitting at the computer, you can ward off chronic back pain. According to the National Heart, Lung and Blood Institute, one in every ten people suffer from Restless Leg Syndrome (RLS). For starters, RLS is a movement disorder whose primary symptom is an urge to move the legs accompanied by unpleasant, tingly sensations. Typically, RLS symptoms get worse at night and in extreme cases the symptoms may be accompanied by pain making it virtually impossible to sleep. Nonetheless, easing pain associated with RLS can boil down to adhering to these 5 tips outlined below. 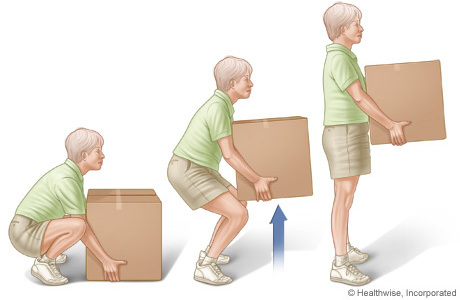 When the legs ache or twitch, moving them may help reduce the uncomfortable feelings. At times, all it takes is to simply shake or stretch them. Also, a calf massage a few minutes before going to bed can help reduce the intensity of RLS symptoms. You can do the massage yourself or seek help from a family member. Be sure to work your calves, thigh, and hamstrings as well as the Achilles’ tendons while you are at it. Excessive consumption of alcohol aggravates the symptoms of RLS apart from interfering with your sleep. 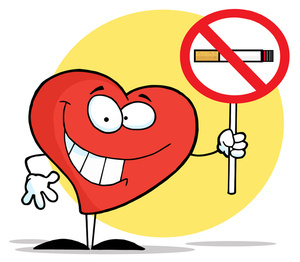 Equally, the nicotine in cigarettes or any other tobacco products intensity the pain associated with RLS and should be avoided. While you may have a cup of coffee, tea, cola or chocolate once in a while, cut the consumption to not only ease RLS symptoms but also enable you enjoy a good night’s sleep. Sleeping and waking up about the same time regularly can help just about anyone sleep better. A regular bedtime schedule can prove beneficial if you are suffering from Restless Leg Syndrome specifically because it helps reduce fatigue, the pain, twitching and tingling that ruins your sleep. Doctors recommend that an adult should have between seven and nine hours of sleep each night. Research shows that people with RLS also suffer from iron deficiency. You may need to take an iron supplement to replenish your brain with dopamine, a chemical that helps control movement. Be sure to seek your doctor’s advice whether an iron supplement may help ease the symptoms. If so, take the supplement with a glass of orange juice or another source of vitamin C to help increase the absorption rate. Some drugs particularly those indicated for the common cold and allergies are known to aggravate RLS pain. Also, some depressants and drugs used to treat nausea can cause the same problem. 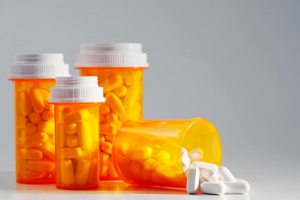 If you are on these medications and have RLS, it is imperative that you contact your doctor check whether he or she can recommend alternative drugs. Exercise Your Brain – Getting involved in activities that distract the mind can help reduce your symptoms. Instead of sitting down in the evenings to watch Television, read a book, play a video game or complete a crossword puzzle to keep your mind engaged. Take a Deep Breath – Stress is known to worsen RLS symptoms. One of the simplest ways to relieve stress is to take slow, deep breaths once in a while during the day or before going to bed. In line with reducing stress, you may also listen to cool, soothing music before going to bed. If not addressed adequately, RLS can lead to insomnia. However, reducing the pain and other symptoms associated with Restless Leg Syndrome is relatively easy if you embark on the correct pain management regimen. As a matter of fact, the tips explained above come at a cost that is almost next to nothing. 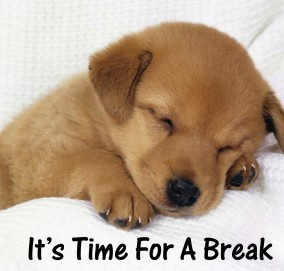 Do you think you take breaks as much as you should while working? 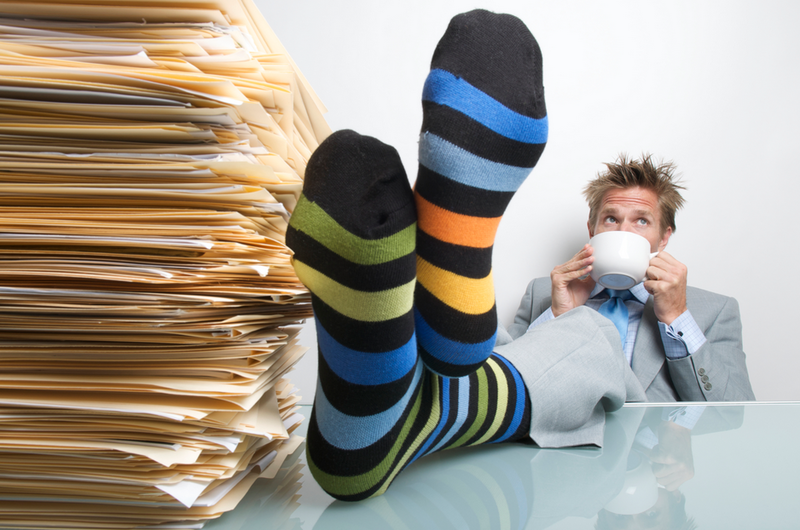 The average office worker spends something like 60,000 hours in a chair. Apart from that, you have already spent a considerable amount of time sitting in school, watching TV, and driving a car. Now, you may not have sustained any serious damage if you have been sitting in the perfect posture all that time, but the fact of the matter is – You don’t. People are generally sloppy about sitting around. They only think about making the current situation work while sitting, what is comfortable NOW. We are all consumers of convenience and it’s difficult to think about the long term consequences of your actions while everything works in your favor. So, chances are that you were not sitting up straight and ensuring that your back is well supported and protected from sustaining long term damage over the years. The only time you start thinking about your back is when it gives you pain. You wait for your back to give you that ultimate distress signal to work things out. Now, you are worried. The fact is when you sit for extended hours at your desk; you are putting your back under tremendous stress. Though you may not have realized it, sitting puts your back under twice as much pressure as standing. What happens when you apply pressure on a toothpick by bending it with a slight amount of pressure with your fingers and then keep increasing it? At some point, it will break. Your back can also only take a finite amount of stress. It is strong, no doubt. But it will give you pain and even break if you take it for granted. Regardless of what you are doing, your back is constantly working to support your upper body weight. So, even if you feel you are in a relaxed position, you need to keep shifting your position to relieve the tension that is building up on your back. So, how do you protect your back? Again, you may have heard it a million times, but it’s important none the less. Sit up straight in your chair. No slouching or bending up, or stretching your neck up to look at the computer. You need to ensure that your bottom is in touch with the back of your chair and your shoulders are in contact with the back rest. Your arms need to be close to your body while sitting and resting on the table when typing. This is the ideal scenario. Work towards maintaining it in the beginning and it will fall in naturally over time. Set a timer and make sure you get out of your chair every half an hour to take breaks. You don’t have to go jogging or watch a movie. Just stand up, take a few steps, look around the room, and sit back down. That’s all it takes. Again, this is a habit you need to work on building. Your body will set the clock later on once it becomes a habit. Take time to massage the back of your head and neck while you relax your stomach muscles with slow relaxed breaths. This enhances your posture and cuts down on back pain by giving your spine strength and flexibility. So, give your back a break and take breaks every half an hour. Today, with an increasing percentage of people spending extensive amounts of time in front of a computer monitor, there has been a sudden increase in neck and back related issues. According to a recent study, more than 60 percent of all office going individuals who spend at least half of their day in front of a computer screen are bound to face problems associated with neck pain from sitting at some point in the year. What’s surprising is that even with the rising incidences of these issues, there has been no real effort from a major share of employers to educate their workers on the importance of maintaining the proper working position in front of the computer and taking regular breaks from sitting. If you don’t want to end up on the wrong side of the pain spectrum, it’s imperative that you take proper care of yourself and make adjustments to your workspace, specifically your computer monitor. This is because poorly positioned computer monitors are the ruling cause for neck and back pains among office goers. Having to decide on the best location for your monitor on your work desk can be a tricky challenge. However, you need to remember that if proper thought is not applied in this regard, you will end up experiencing excruciatingly painful days ahead over a period of time. 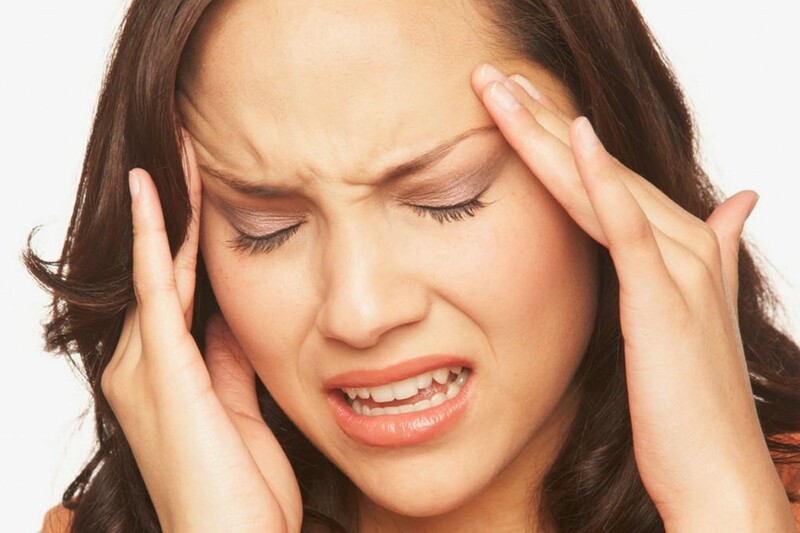 The issues you experience would include headaches, strain to the eyes, and most importantly, neck pain from sitting long hours, which could be debilitating. 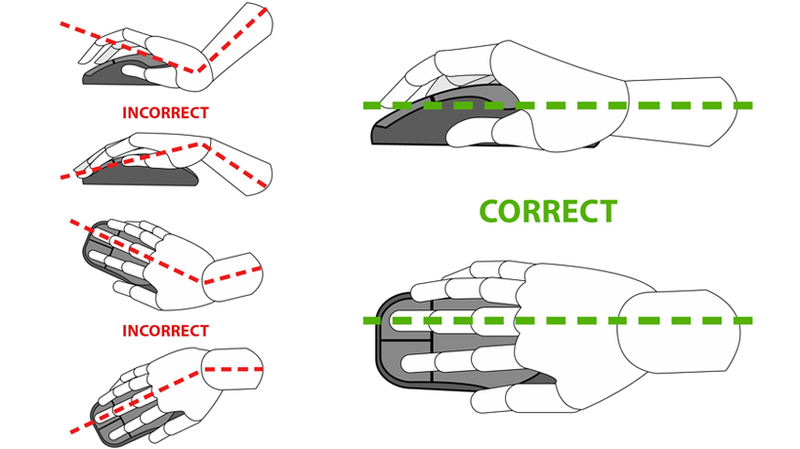 The following pointers will give you a perspective on how to position your monitor in the optimal ergonomic position. If you are working for extended hours in front of a monitor, the optimal position for your monitor would be at the center of your table directly in front of your eyes. 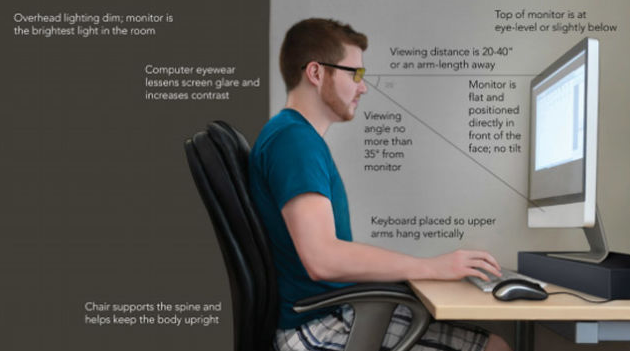 Your monitor needs to be at an arm’s length away from your seated position. When it comes to height, the ideal would be to place your monitor at a height that is exactly at eye level. To achieve this, you could either lower your monitor or raise the height of your chair. 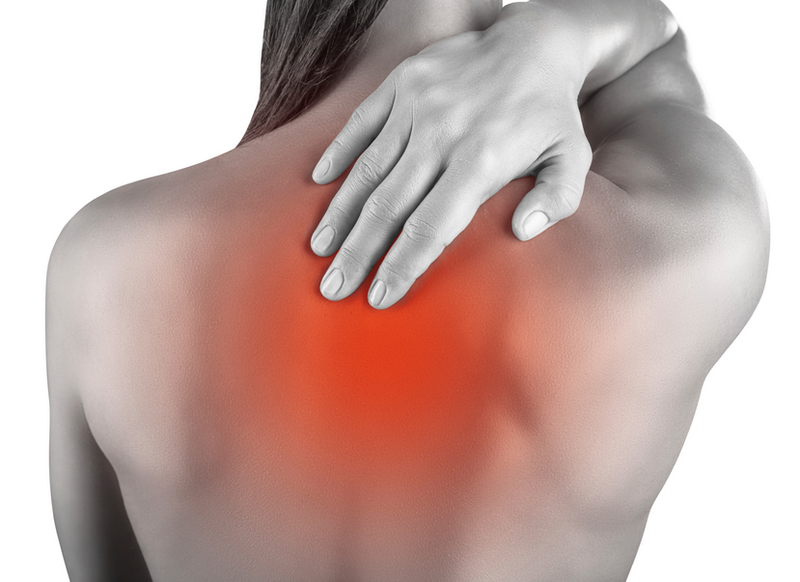 Regardless of whether it is too high or too low, it would be putting strain on your neck. In the scenario where you are working with a large monitor, say larger than 20 inches, your monitor needs to be placed so that upper limit of your viewing area is around 3 inches above eye level. If you find yourself hunched over with your nose almost touching the screen, it means you either need to get some new prescription glasses or you need to adjust the font size. The size of your text displayed on the monitor should be at least two to three times larger than the size of the smallest text you can read. Smaller sized fonts can actually cause neck pain from sitting over an extended period of time. Following these tips can go a long way in preventing unnecessary strain on your neck and back and thus avoid painful neck injuries. You can’t obviously cut down your time in front of your monitor, so making these adjustments would keep you safe and capable of maintaining your quality of life.